Gavin Williamson has described himself as "honoured and excited" to be appointed Defence Secretary - but his rise to a leading Cabinet role has sparked concern among Conservative colleagues. Theresa May's former chief whip has been promoted to replace Sir Michael Fallon, who resigned on Wednesday night amid the sleaze scandal engulfing Westminster.Mr Williamson has not previously served in a senior departmental role, and his lack of ministerial experience has caused consternation among Tory MPs.Prominent backbencher Sarah Wollaston described Mr Williamson as an "extremely likeable and respected chief whip" but questioned his suitability to be installed at the Ministry of Defence. "I think it would be worth reflecting whether there were others that were more experienced and suitable for that role," she told the BBC.Dr Wollaston suggested Mr Williamson's position as a close ally of the Prime Minister played a part in his appointment. The decision also went down badly with other Tory MPs, with one minister telling Sky's Beth Rigby that Mrs May is "so weak she's allowed the inexperienced chief whip to appoint himself".Another MP suggested to Sky's Lewis Goodall that Mr Williamson "knifed Fallon and pinched his job", adding: "It's way above his ability. "Lord Dannatt, the former head of the British Army, branded Mr Williamson's appointment as a "political" decision by the Prime Minister. The new Defence Secretary was backed by Mrs May's former chief of staff Nick Timothy, who claimed Mr Williamson had been a "brilliant chief whip" who the Prime Minister "rates".Posting on Twitter, Mr Timothy also rubbished the idea Mr Williamson had played a role in his own appointment as "absurd".But former minister Anna Soubry offered a further glimpse of the anger within Tory ranks, replying: "Concerning comment from someone who helped lose the Conservative Party its majority & destroy 10 years hard work to make us electable. "Ms Soubry later suggested Mr Williamson had "picked himself a plum job". 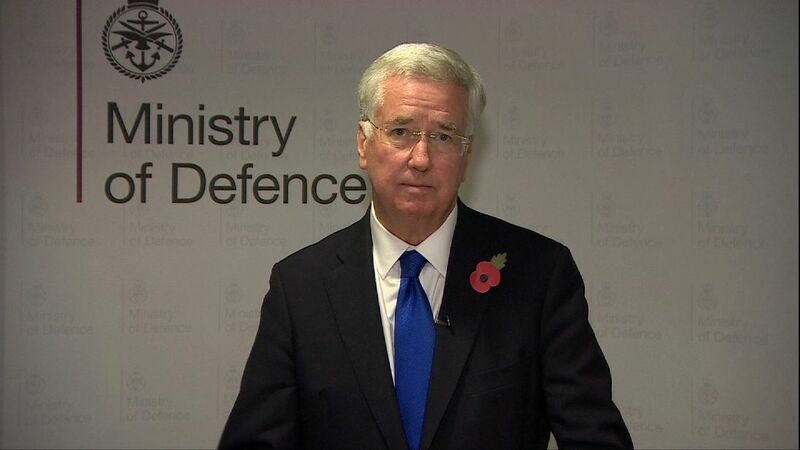 Downing Street also denied he was involved in discussions about Sir Michael's replacement. 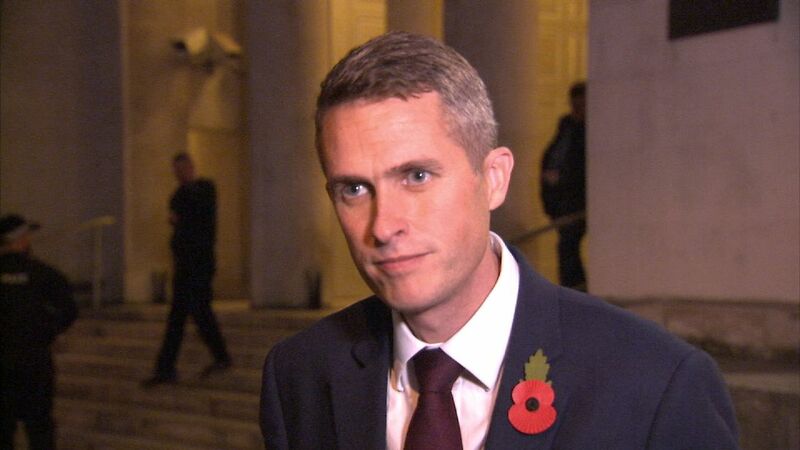 "Gavin Williamson was an excellent and hard-working chief whip and the Prime Minister thinks he will make an excellent Defence Secretary," the Prime Minister's official spokesman said.Mr Williamson told Sky News his appointment was an "immense privilege" as he described the Armed Forces as "the greatest pride of our nation".But the South Staffordshire MP also revealed his own shock at being promoted, telling his local Express & Star newspaper he was "absolutely flabbergasted" when the Prime Minister asked him to take on his new position.